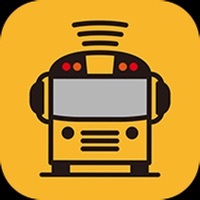 **NOTICE: In order to use the app, your school district must have a contract with Synovia Solutions and make Here Comes the Bus® and/or Student Ridership available to parents. Please contact your school district or visit www.herecomesthebus.com for more information. ** Here Comes the Bus is an easy-to-use app that gives you the real-time location of your child’s bus, and alerts you when the bus is near. With Here Comes the Bus, your children will get to the bus stop not a minute too early – or a minute too late. And with Student Ridership, you’ll not only know your child got on the right bus at the right time, but that they got off the bus at the right stop. All of this equals safety for your children, and peace of mind for you. 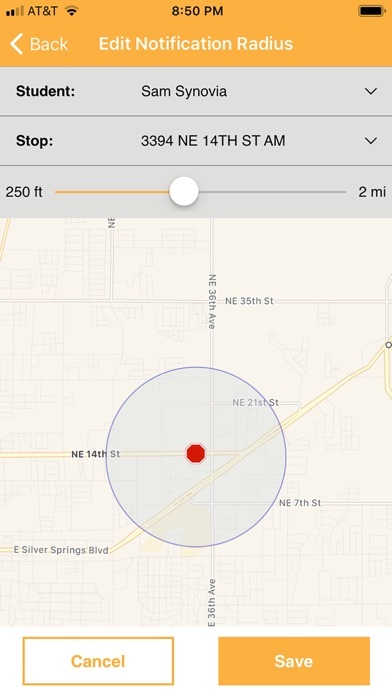 KEY FEATURES: Find your bus quickly and easily See the exact location of your child’s school bus using your own customizable map. 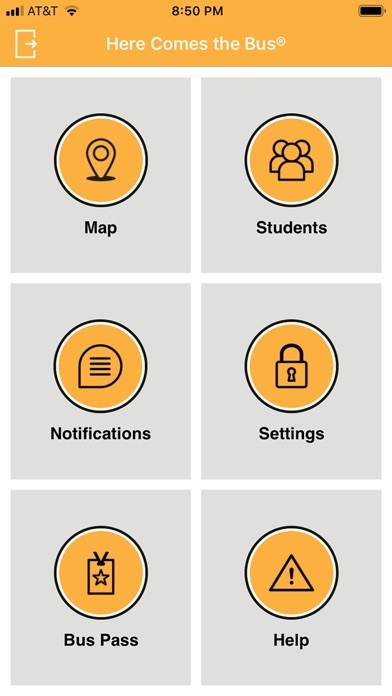 Receive alerts via push notification -Be notified when the bus is within 2 miles of your stop, has a schedule change, and more -Receive notifications when your child gets on/off the bus, including the bus number, location and time Access arrival & departure info Confirm your child’s bus has arrived at the bus stop and at school, both before and after school. Track all of your children Have children that ride different buses? See each child's bus information within one account. App and notifications in three languages The app and notifications are available in English, Spanish and French. Know your privacy is protected Parents must obtain a private ID number, which grants access to their child’s bus only. No more waiting for an hour if the bus has additional students one day, I now know exactly where my kids are! It’s as I said...AMAZING! I love the Here comes the bus app!! So helpful and handy to have!! The app does track well in real time so it’s helpful knowing where the bus is. The issue is the notifications do technically send but they send silently. They don’t vibrate, they don’t play a sound. Kind of defeats the purpose for a notification. If this can get fixed, the app would be awesome! Also maybe consider adding a notification of when your kid arrives to school. Helps me know the whereabouts of the bus. I love the app but hate pop ups for review every day. Especially during busy time and you really want to track the bus... these pops annoys a lot. Nice to have advanced notice when the weather is bad! This works well! Today 04-17...bus #2370 is shown at Clinton st...yet, it picked up the children at the usual time? Great app and no longer miss the bus. This app frequently (maybe 50% of days) shows the wrong bus, or no bus at all. It’s incredibly frustrating. I can’t ask my 6 y/o daughter to stand in the dark cold for 20 minutes waiting for the bus. Not using the app isn’t an option because the time the bus arrives varies so wildly that it’s a 20-min window. My life would be better if this app didn’t exist. It’s a good idea, but the execution is awful. My wife doesn’t use it at all and frequently has to leave our 4 y/o at home unattended so she can stand outside. Love to know that the bus is near enough to leave the house! I have a love hate relationship with this app. I love the convenience, when it works. But when it doesn’t, it drives me insane! And I have to be there to get my kid off the bus or else they won’t let her on or off. Which just makes the app not showing me where she is that much more frustrating!! Has saved kids from missing bus several times. At first we were so excited to get this app for tracking the school bus! However, it would randomly start logging you out so in the morning when you’d go to check on the status, it would be on the login screen. You’d think no big deal BUT then you try to login with your saved password and it tells you that the login info isn’t correct. It could be because when you choose your password from the saved list, it substitutes your email address for the school code. I finally tried this morning to use the contact support about the issues I’m having. I started putting information in, my email address, school code, checked the box for unable to login as my reason but then, in the part where you’re supposed to be able to enter your problem description, it won’t let you type anything. So I wasn’t able to submit my issue with the login. I give up. I’m about to delete the app and just do what we’ve been doing which is head to the bus stop early and wait. I hope it’s just that the iOS software threw the app for a loop but it hasn’t worked correctly for me in a long time. This is a great app! My kids don’t wait in the cold or rain for long periods anymore. 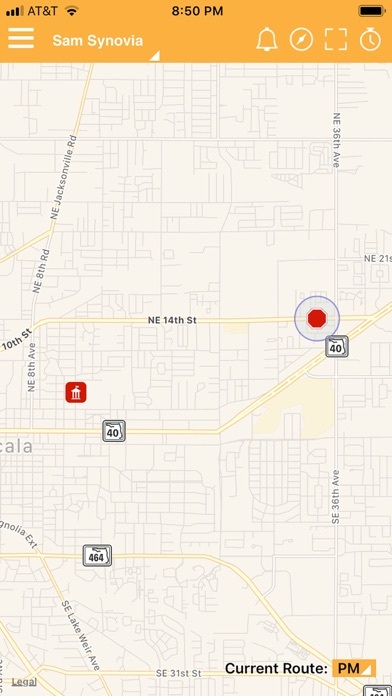 I love how I can track where my child is while on the bus! What a great feature. Now if they could only add student sign in as they get on and sign off once they step out, it would be even better. Also if a child left their electronic school based device if they left it on the bus by error, that would be great where you can contact the bus driver to keep it safe until the next day! 🙂 ... just a thought. Excellent to know that you can watch the bus with the children with real time. It allows you to get other things done to the maximum time on a daly basis. 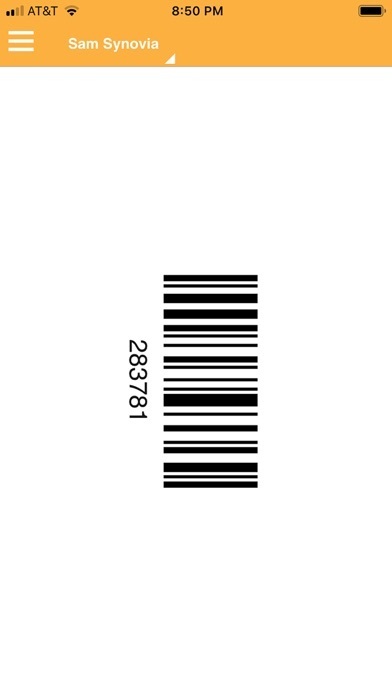 Super application!!! I love being able to watch the app and know exactly how much time we have! This is wonderful. Thank you for developing this app! We love the app and it helps a ton! My son doesn’t have to stand outside in bad weather as long because we know exactly when the bus is arriving. Love the app. It’s always accurate and keeps me informed on changes to my kids bus route. This app has helped tremendously with varying bus schedules and changes this year. I can’t imagine sending my kiddos on the bus without it! I love being able to see where the bus is before heading out the door. However, the notifications aren’t always on time and I would love to be able to turn off the email notifications! When it works it’s fantastic. Sometimes it doesn’t show bus and the same days it does it to me it also does it to my neighbor so I know it’s not my phone. It says warning no bus location at this time ! It’s not accurate, I would like to see something more efficient with more technology. Great knowing when to expect!